Learning about managing conflict is an essential tool that every individual should not only use, but learn to use effectively. 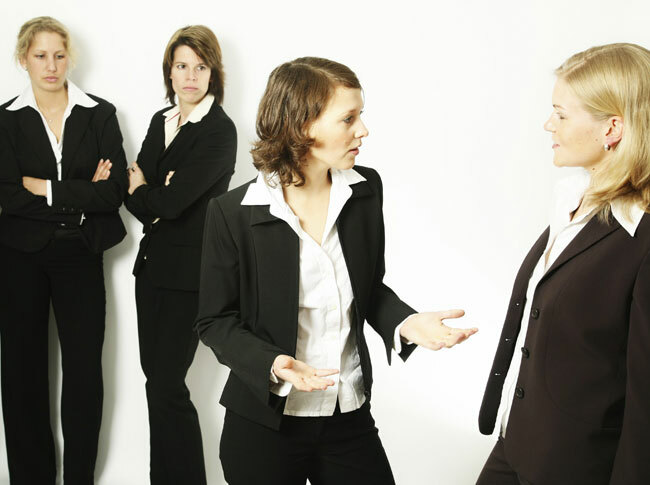 Conflict in life and work is inevitable, as every person is unique with differing views and opinions. Therefore, if you are dealing with people, you are dealing with conflict. The important thing to remember, however, is that with the right tools, we are able to implement strategies to minimize and deal with conflict. These concepts help clear the mind for better decision-making, and consequently, this ensures a personal pathway to success. Profound strategies and concepts to minimize and manage conflict have been around for thousands of years in the form of the Book of Change Tao de Ching and the Art of War. Today, modern legends including Stephen Covey ( 7 Habits for Highly Effective People ) and Dale Carnegie present similar corporate and personal tools. As many know the 7 habits are not a group of new concepts, but age-old approaches to success and conflict management, represented in a way that can be clearly applied to modern day personal and corporate development. Although many of the ancient concepts have been lost and misinterpreted, they exist and can be translated in non-extreme forms, from such arts as: Zen (which is not a religion, but a path for self discovery and growth), the Art of War by Sun Tzu (the classic text on strategy which is often regarded as the most definitive text on the topic), and the Tao de Ching (the book of change ). Profound lessons for leadership, change, success, and non-conflict have arisen from the above mentioned forms because their understandings came from life and death scenarios. How do these ancient concepts apply today? Obviously the conflict that we experience in our daily lives seems insignificant in comparison to the samurai, who faced death on a regular basis. However, it is important to extrapolate the lessons that have been derived from such scenarios, as they are still applicable in the conflict that we experience in the workplace and life. All the above methods (old and new) are about changing base behavior, beliefs, and approaches in order to avoid conflict & simultaneously to achieve personal success. If you know yourself and know others you will be successful. If you know others and not yourself, you will win one and lose one. If do not know others and do not know yourself, you are destined for failure in every battle. These are core values, and are far more important than putting band-aids on problems, or approaching things with simply a short-term change. In regard to the ancient philosophies, they of course must be interpreted, and applied, using case studies and real world examples in a context that matches the modern corporate world. This is achieved through implementation of physical interaction drills to reinforce the ideas covered in workshop presentations. Studies have shown that learning conflict management based on physical as well as mental practice greatly increases the participants retention, and consequently, aids in implementation. It is this and other lessons that can be applied to your life today don’t take on more than you can handle, or you will begin to sacrifice the very essence of who you are. This example shows conflict within an individual. Although it is not direct conflict between two people, it is still relevant. If you have conflict within yourself, you are destined to have conflict with others. Additionally, this study & understanding of internal conflict can aid in minimizing conflict with other people. You will understand that conflict is not merely what is being discussed it also involves each individual and his/her conflicts within. Continuously sharpen the sword, or it will go blunt! Book Review: Managing Thought – How Do Your Thoughts Rule Your World? Learning to manage conflict is an essential tool that every individual should not only use, but learn to use effectively. Conflict in life and work is inevitable, as every person is unique with differing views and opinions. These concepts help clear the mind for better decision-making, and consequently, this ensures a personal pathway to success.